Remember when you were little, like five? Life was all about playing outside, having fun with friends and make believe. Did anyone else make mud pies decorated with flowers? We lived in a land of make believe where life was an adventure and we set the scene. You colored a new page in your coloring book and the more stickers the better. Remember how a brand new crayon felt in your hand? Where has that creative energy gone? We were born to create, inspire and dream. Somewhere along the way life got too busy. And the busier we get, the more we need to unwind. The more technology we touch, the more we need to unplug. The harder we work, the more we need to play. And creativity is the world’s ultimate playground. People, it’s time to pick up that paintbrush! 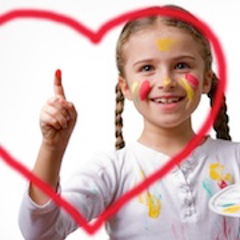 Pop in to Clay Café Avalon and rediscover your love of paint and play!